Discussion in 'Other Watch Brands' started by colemanitis, Nov 19, 2009. Lovely selection , but we MAC users should report this discrimination to the proper authorities . Luckily we can find some Mac compatible on the official ROLEX website . I run the SDDS one at the moment but had the 116509 one before as it was the closed looking to my 116520 . THANK YOU JEFF FOR EVEN CONSIDERING IT , ANYWAY WE MAC USERS ENCOUNTER THIS ALL THE TIME . I THINK WHEN YOU BUY MAC YOU KNOW YOUR ADVANTAGES BUT DO NOT ALWAYS CONSIDER CERTAIN NON COMPATIBILITIES . I GUESS THATS THE ONLY REASON WHY MAC IS FAIRLY SAFE FROM MAINSTREAM BUGS AND VIRUS' FOR THE SIMPLE REASON THAT THERE ARE JUST NOT ENOUGH OF THEM TO MAKE IT WORTH WHILE CREATING THEM ,BUT THAT GOES FOR USEFULL PROGRAMS ASWELL . I KEEP AN OLD LAPTOP ON WINDOWS JUST FOR THOSE OCCASIONS . SOMETIMES YOU CANNOT ACCES FORMS ON GOVERNAMENTAL SITES WITH SAFARI , MY BLUETOOTH HANDS FREE SYSTEM OVER THE FACTORY GPS IN OUR VW AND AUDI CAN ONLY BE UPDATED VIA WINDOWS . 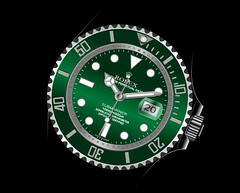 I WOULD NOT WORRY ABOUT IT IF I WERE YOU , AS I SAID WE CAN FIND SOME NICE ONES AT ROLEX' OFFICIAL WEBSITE . Hey Jeff, how about a meters first Red Sub and a 1655 Exp II ( to keep the orange guys happy)? meters first, patina, a little red writing, can't wait! btw what happened to your blog? Seems to have disappeared. I would like to add a Rolex for a screen saver. too many submariners. not one of the new datejust II 41 mm, slate dial, green numerals. how can i get any pic of a Rolex with the time.